This 55-inch TV doesn't offer a lot of peak brightness, but its wide color gamut helps with HDR. The H9D Plus sports a thin pewter-colored bezel, and it weighs 43.1 pounds with its stand. It was easily set up by one person in our lab. 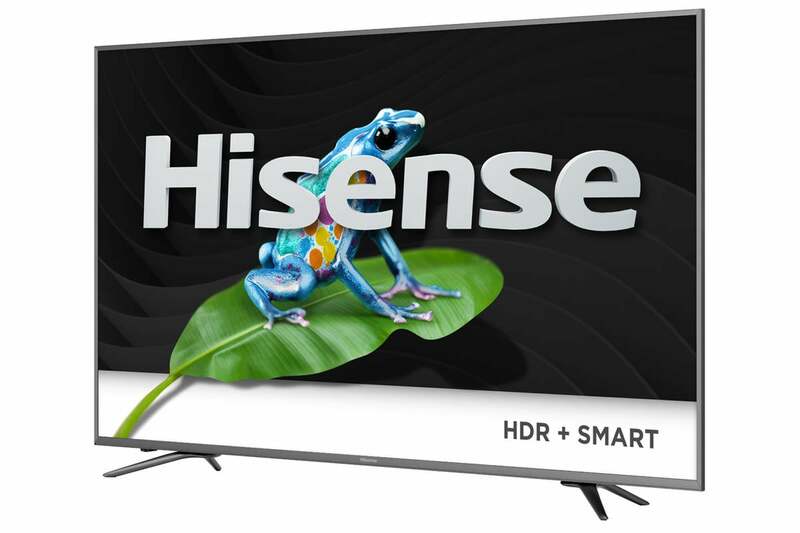 At press time, the specs on Hisense’s website described this TV—in a section labeled “words for nerds”—as being 48.5 inches wide by 2.4 inches high, by 28 inches deep. Those last two numbers should be reversed, of course, and that’s not the only mistake Hisense has made labeling things. The next one is much more consequential. It’s been many a year since we saw a TV that was 28 inches deep. 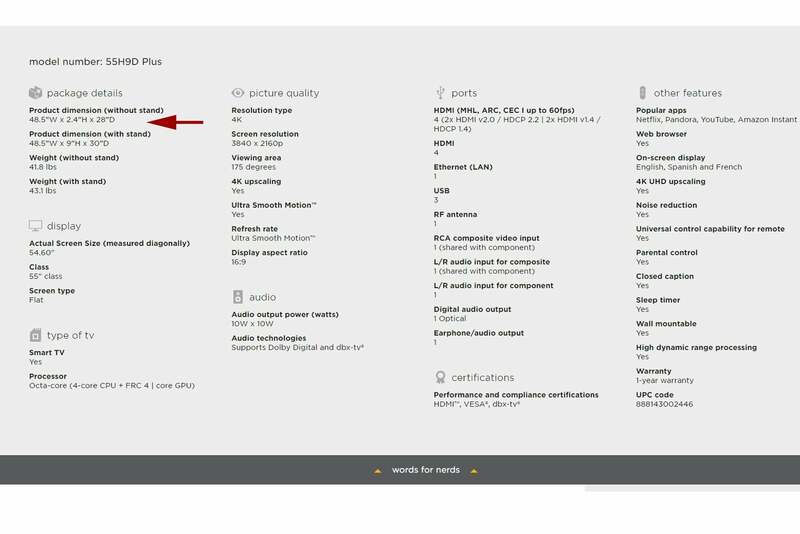 Only two of the H9D Plus’s four HDMI ports are HDMI 2.0a with support for HDCP 2.2. And while most users won’t have even one 60Hz 4K UHD source at this point, providing two 30Hz HDMI 1.4 ports strikes us as stingy on any TV in this price range. The real issue, however, is that the two 60Hz HDMI 2.0a ports are labeled as MHL (Mobile High-Definition Link, aka a smartphone input) and ARC (Audio Return Channel). Hisense informed us that these ports are mislabeled and that the HDMI 1.4 ports should be used to connect a smartphone or to send audio to another device. Of course they should. Who in their right mind would waste the only two 60Hz ports on ARC and MHL? Someone at Hisense was having a really bad day. We should also point out that 30Hz HDMI 1.4 ports are perfectly adequate for DVD and most normal Blu-ray. The H9D Plus also sports three USB ports, 802.11ac Wi-Fi, and a hardwired ethernet port. A cursor control on the lower left of the back of the TV can be used when you misplace the largish remote. The H9D Plus’s remote is plus sized, but it’s easy to use and hard to lose. Speaking of which, we didn’t dislike the H9D Plus’s remote, but we didn’t love it either. 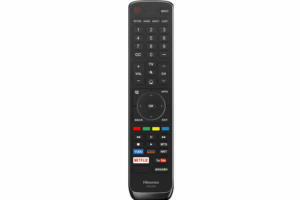 Tastes vary, and if you like a large remote with a button for just about every possible function that isn’t easy to lose in the couch cushions, this one fits the bill. The volume and channel buttons are called out nicely, and the whole deal is pretty easy to memorize. That’s always a good thing, especially when, like this one, it’s not backlit. While we weren’t overly impressed with the remote, we were enamored with the interface, which we found to be just the right combination of clean and easy. Everything is where you think you’ll find it, and there are lots of advanced tweaks for those who think they can do better than the factory. Us? Every time we tweak or enter a user’s “perfect” calibration numbers, we’re back to the defaults in in about 5 seconds flat. The vendors have gotten quite good at putting their best image-foot forward in the last decade. Low profit margins and cut-throat competition will do that for you. We’ve already talked a bit about the H9D Plus’s picture quality, which is quite good—at least with standard dynamic range material. The 10-bit color was far more accurate than what you get on an entry-level TV, and the motion on our 60Hz 55-incher was quite smooth—probably not as smooth as the 120Hz 65-inch model, but absolutely as good as any 60Hz TV we’ve tested. Most suffer at least some judder and pull-down artifacts. There were only the barest hints of moire in highly detailed patterns and shimmer in panning scenes, and we had to look extremely hard for them. In everyday viewing, they’re not worth mentioning. The array backlighting is also quite good, with not a lot of block effects or spillage on the edges, despite there being only 16 zones. We were a bit disappointed with this TV’s HDR performance. The H9D Plus’s wide color gamut helps quite a bit with smoothing light areas and detailing darker areas, and its HDR rendering is certainly better than what you’ll get from a cheaper TV (say, one that’s nearly half the price, such as the TCL P-Series TV we reviewed in July), but 450 nits is the limit for this TV’s brightness. With a bit more peak brightness, the H9D Plus’s HDR rendering would be much better. It’s still a notch above some of the cheaper competitors. 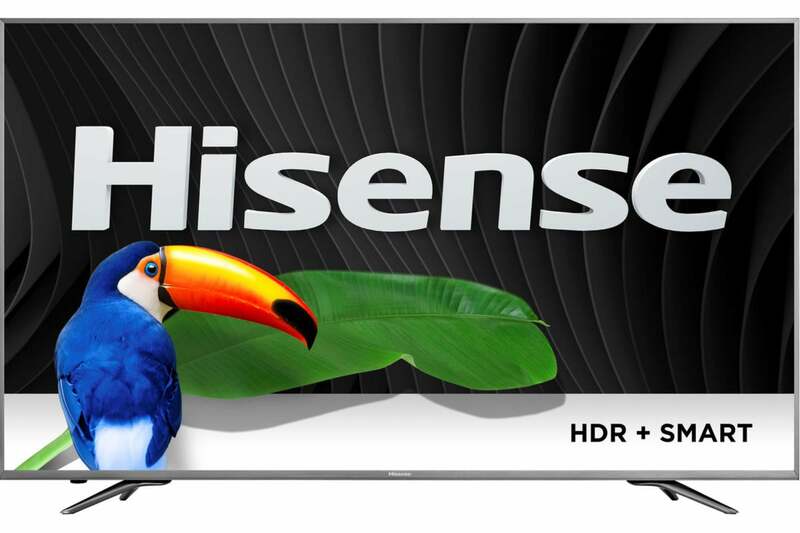 As we see more and more lower-end HDR TVs, it’s become clear to us that 450 nits isn’t enough to delver a great HDR experience. Even the 750 nits we see from Sony’s TVs forces the material to be rendered in a palette that’s darker than we would wish. For HDR to really work, you need the 1000 nits you get with Samsung’s better LCD TVs, or 750 nits in combination with the black blacks of OLED you get with Sony’s XBR A1E series. Hisense’s media app easily handled all the video on our USB drive, including both h.264 and h.265 2160p HDR-10 files. Audio file support was more of a mixed bag, with MP3 and WMA supported, but not Apple’s M4A. APE and FLAC lossless are supported, but not Windows or Apple lossless. Most wave files played fine with the exception of 64kHz/24-bit (which played at half speed), and 96kHz/32-bit, which weren’t played at all. Surround-sound files weren’t supported either, although the TV streams surround just fine via HDMI. The sound from the Hisense H9D Plus is adequate for casual listening. As with nearly all thin TVs, It’s lacking in the bass department, and we would appreciated just a bit more high-end definition. But for a flat-panel TV, it’s not half-bad. That’s a compliment by the way. Overall, the H9D Plus is a tough call. We like the picture, we love the interface, and with SDR material, everything it does—it does pretty darn well. We’ve harshed a bit on the HDR, but the effect is there, and we weren’t yearning for the brighter 1080p SDR versions of movies, as we were with TCL’s P-Series. The real problem is one that we hinted at up top: At this price point, it’s competing with Sony’s E-series and Samsung’s Premium UHD TVs. Not to mention last year’s SUHDs which do HDR-10 significantly better. But the eyes have it. Take a look and tell us what you think. We like the 10-bit color. We like the smooth motion. We love the interface. But the relatively low 450 nits of peak brightness isn't ideal for HDR material. Still, it's a very nice TV. Only two of the four HDMI ports are HDMI 2.0a.